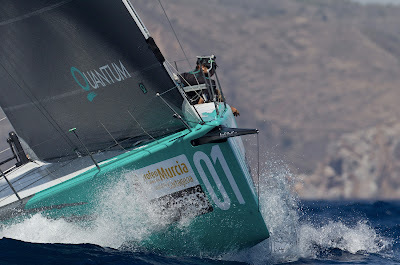 Quantum Racing pulled out all stops today in the breezy conditions to win the coastal race at the Audi MedCup Region of Murcia Trophy - Cartagena regatta. Perhaps the visit this morning from their 2008-2010 Skipper/Helmsman, Terry Hutchinson brought the team some much needed good luck. 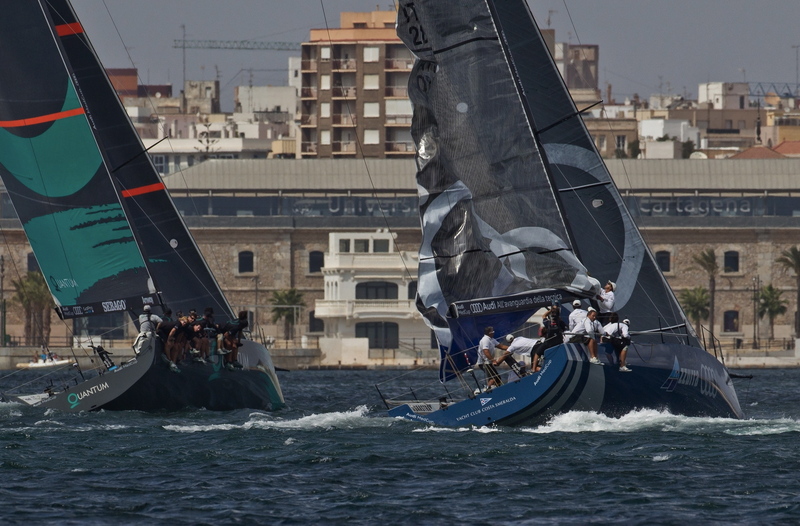 Quantum have struggled with boat speed and minor tactical errors so today's bullet, their first for the event, was sweet music to the team's ears. 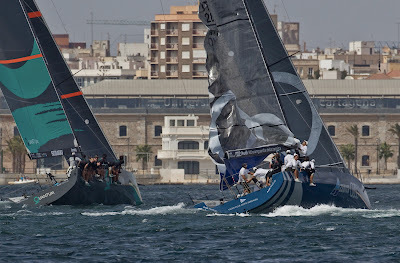 Despite these challenges consistency proved to be their saving grace and they currently lie in third overall all behind Bribon and Audi Azzurra Sailing Team.